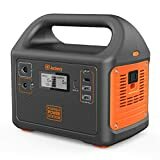 Baby Genny – Reliable Emergency Battery Powered Generator , selling for $1,295.00 brand new. Manufactured by LibertyPak. There are 1 units left brand new. 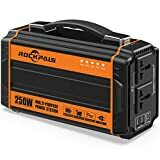 Lightweight emergency/back-up portable power – 5.5 lbs. 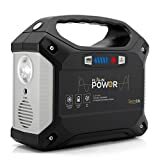 The Baby Genny is a portable rechargeable generator of AC power. It stores electricity from any power source – grid, solar, wind, car, generator – when normal AC grid power is not available, such as during power outages and emergencies. 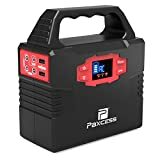 It is a silent, non-toxic, pollution free power supply that can be used anytime, anywhere to charge cell phones, iPads, laptops, fans, small appliances, and many types of portable equipment for years of reliable use. The Baby Genny will power any electrical device up to 160 Watts using 115 volt AC, 12 volts DC, or 5 volts USB. 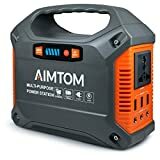 All of the outlets can be used at once: a mobile phone with the USB, a 12 volt radio with the Accessory outlet, CD player and a laptop computer from the AC outlets, or any other combination providing the maximum 160 Watts is not exceeded. 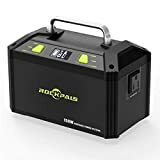 Combine the Baby Genny with the LibertyPak portable solar panel charger also available through Amazon and you have power unplugged, anytime, anywhere for camping, travel and emergencies. Meets UN-DOT, IATA, and FAA Requirements for air travel. Standard 12 volt charger included. Product prices and availability are accurate as of April 22, 2019 09:59and are subject to change. Any price and availability information displayed on the Amazon site at the time of purchase will apply to the purchase of the products above.